Dreams are a mysterious processes. They can hold deep meanings, connections and expressions. Dreams are sometimes nothing but random neurological firings, and memory fragments of the past day. That is just a portion of a dream's potential, we can develop our personal relationship with dream states. Jewish Talmudic Sages believed that dreams are 1/60 prophetic. To grow your awareness and influence in dreams, it's recommended to keep a pen and paper by your bed, to record the night's images as soon as you wake. Record your desired goals and dreams in the notebook as well. Make a habit of asking yourself if you are dreaming or awake. As you gain control and awareness, you will be able to better understand the messages in your dreams and apply those lessons to the waking world. With this tool, you can reach your goals and realize your dreams. Your sleeping and waking perspectives have shifted greatly, helping you see the bigger picture. You see everything in a new light, understanding what was once mysterious and pointless. Your path is well defined and the resources at your disposal are highlighted and numerous. There is a strong sense of cause and effect to everything. As good things happen to you. Everything including people, feel encouraged to help you along your path. It seems like everyone is aware of what you are secretly trying to do. Pay attention and connect the dots. Between what they say and what you need, a solution to your problems can be found. Keep an eye out as your true path is lined with treasures that you can use. The Universe is offering you different ways to experience life, and new avenues to meet new people. Take a chance and try new experiences! Who knows where it can lead you? Dreams and life are confusing and full of surprises. As life's elements start lining up in your favor, you will experience the same sense of confidence in waking as you do in dreams. You have faith in your abilities and true purpose, even if you can't explain why. As dreams point in new directions, life takes off and prompts new dreams. This cycle builds speed quickly, all you have to do is focus on your goals and desires. As you sleep, you are unconsciously seeking creative solutions to our problems. 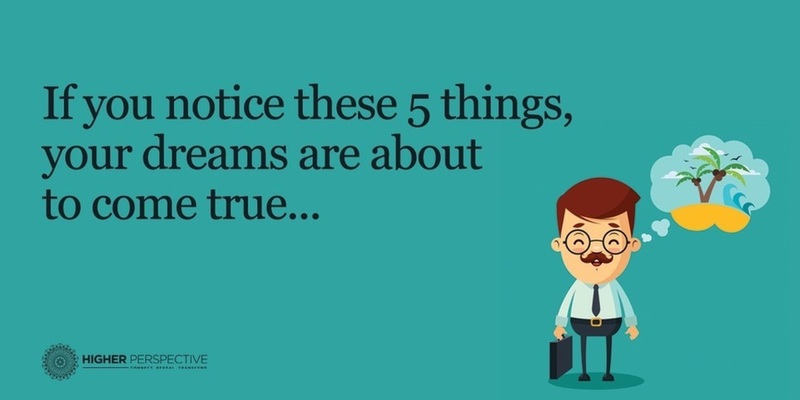 Though it may not always seem like it, a lot goes into the process of dreaming. The more we are aware while dreaming, the more we can apply our experiences to the different realities.